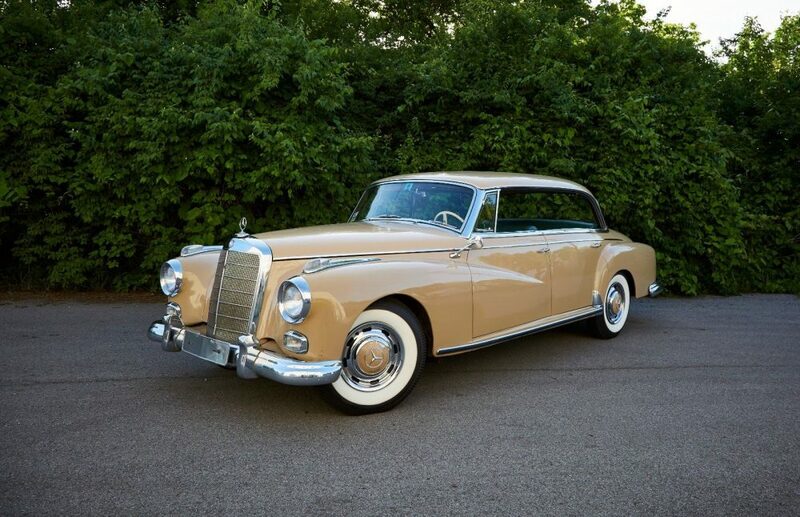 This 1961 300D Adenauer is car #2660 of only 3,077 made. 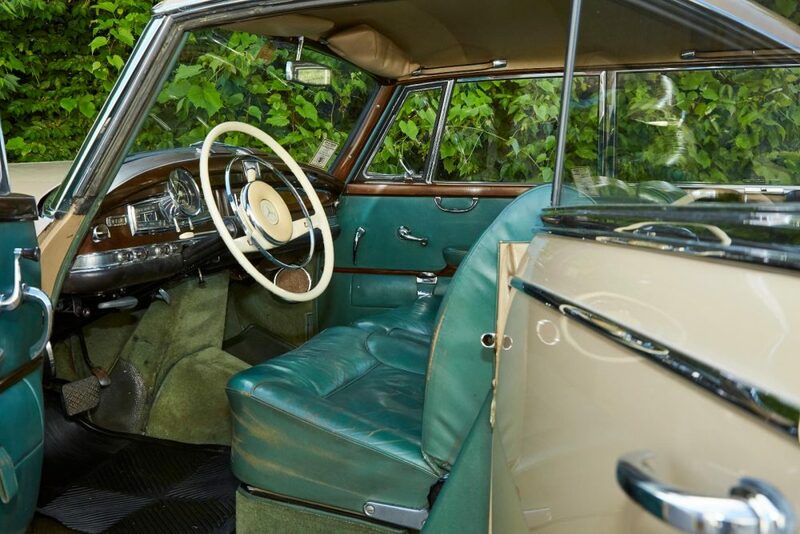 It is finished in DB412 Beige over green leather interior. 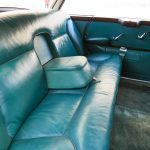 It is a fuel injected engine, automatic transmission, 4 inches longer, the rear quarter glass is removable to make the car pillarless, and has the optional power steering- these are all major changes from the early Adenauers. The original Becker Mexico radio works. It comes with the books/manuals, a very complete and correct tool kit in the original matching green pouch, jack, spare tire. It also has the original green leather cover which holds both of the rear quarter glasses when removed. It has a very rare front and rear skid plate underneath the car in addition to the standard one in the center. We acquired this car out of an estate in Pennsylvania last year where it had been located for 34 years. It currently reads 56,810 actual miles, and was last sold in 1983 at Kruse Auction in Auburn, IN with 55,000 miles. We have put about 200 of those 1,810 miles on ourselves under our stewardship, including a 50 mile trip at 70mph. Before being in Pennsylvania, it spent a year on Michigan Ave in Chicago, then before that it was in Vermont in the late 70â€™s/ early 80â€™s where it was serviced by the Mercedes-Benz Dealership The Automaster in Burlington, VT. No additional paper trail has remained with the vehicle, but according to the Classic Center this car was ordered in 1960 for the U.S. market. It has 4 brand new bias ply tires, 7.60 x 15 with a 3â€ white wall. These are exact replicas made by Coker Classic to what would have been on the car when delivered new. It drives down the road straight at 70mph, and gets more attention than our Pagodas. The car also hasâ€¦ – 4 new brake hoses -Rebuilt brake master cylinder – Spark plugs, new ignition points, timing set. 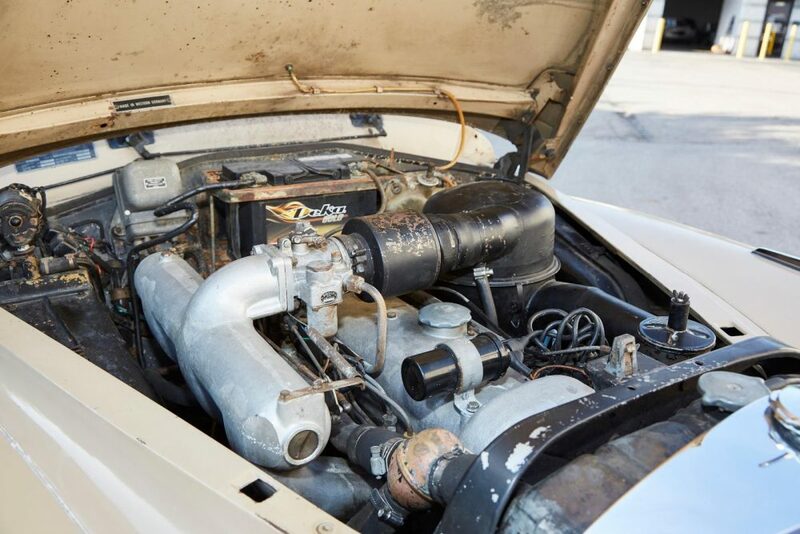 -Engine oil & filter changed -Fuel filter replaced This is an unrestored car, that has been recently serviced so it can be driven to shows and enjoyed. 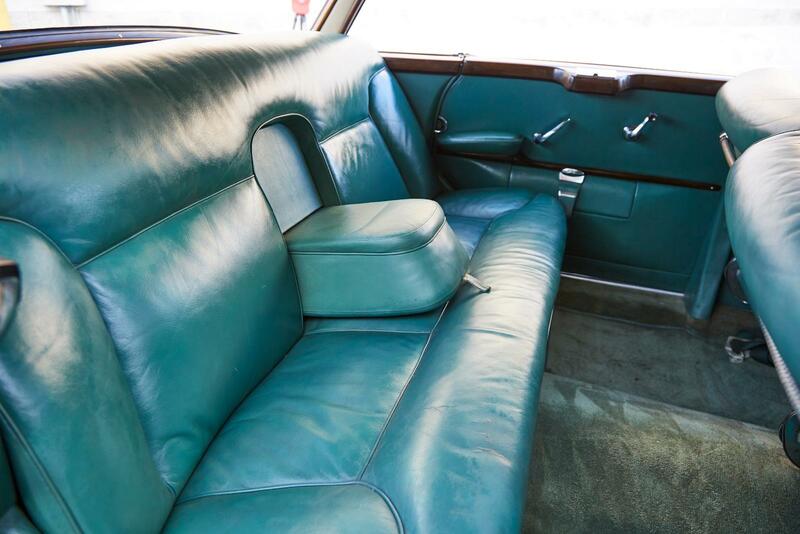 The interior is 100% original including the leather seats, carpets, woodwork etc. We believe the paint to be mostly original, the very bottom of the doors are slightly a different shade where we believe they were previously touched-up/repaired. 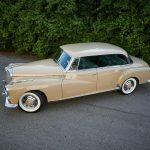 We spoke to the Mercedes-Benz Club of America, and they said this car is ideal for a Silver Star Preservation Award/Certificate. 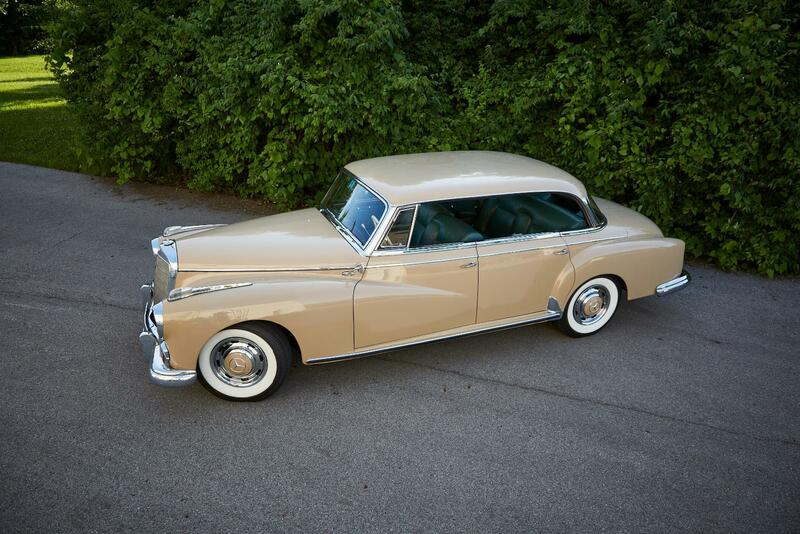 Or this car would also be a great candidate to take to the next level and do a full restoration if you so choose. 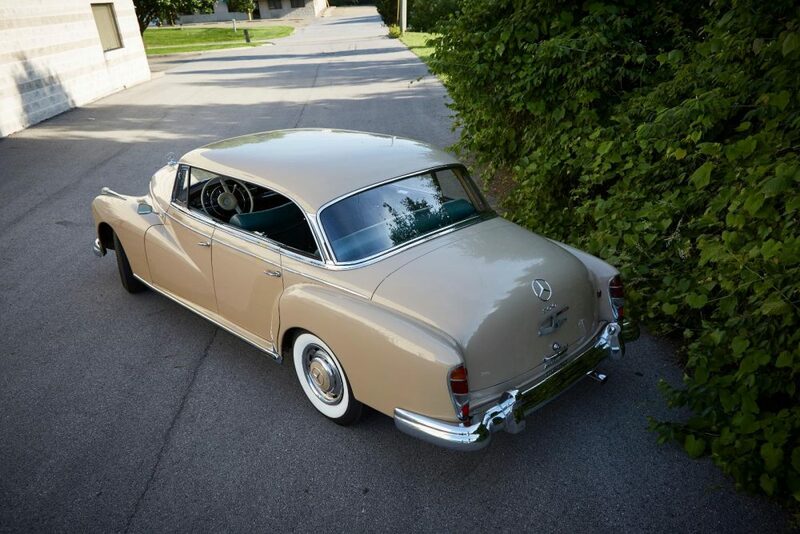 There are some flaws shown in the photos which are to be expected for a 57 year old car. Also the horn and turn signals don’t always work as they should. When I saw the first photo of this car I was pretty excited and assumed it had a black or tan interior. Then I saw it was green and my interest really perked on this car. I can’t imagine there are many Adenauers with green leather and green carpet out there as I’ve certainly never see another one with this color combination. Yes, it’s far from mint condition and those carpets have seen better days, but I see it as a nice patina for this wonderful car. The exterior seems in good shape with just some minor flaws that you would really have to look hard to see. 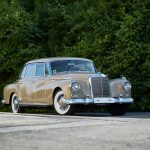 Beige cars never really did it for me (even though I own one) but you could paint an Adenauer any color and it would look great. This is just another example of how cool these things really are. I keep saying that I think these are highly undervalued in the Mercedes world. Maybe because they are so unique and a lot of the parts are one-off, but $60,000 is a good buy-in for one of these. They won’t bankrupt you quite as fast a 600 (nothing will) and you still get that dictator or captain of industry look. You still might need to consult an Adenauer specialist on some things for this car so they aren’t exactly DIY-friendly, but that wouldn’t scare me away from putting one in my garage. 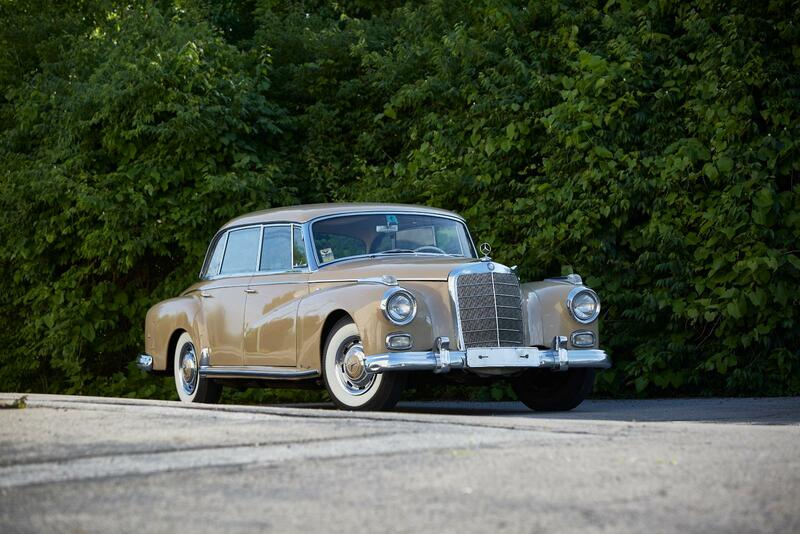 Whenever these come up for sale they are always fun to look at and if you wanted a classic Mercedes that everyone else doesn’t have, this one might be the answer. 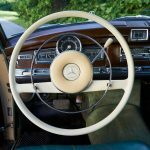 Tagged 1961, 300D, Adenauer, M189, Mercedes Benz, W189. This is definitely the coolest, most unusual and most exciting color combo I have ever seen on an Adenauer. 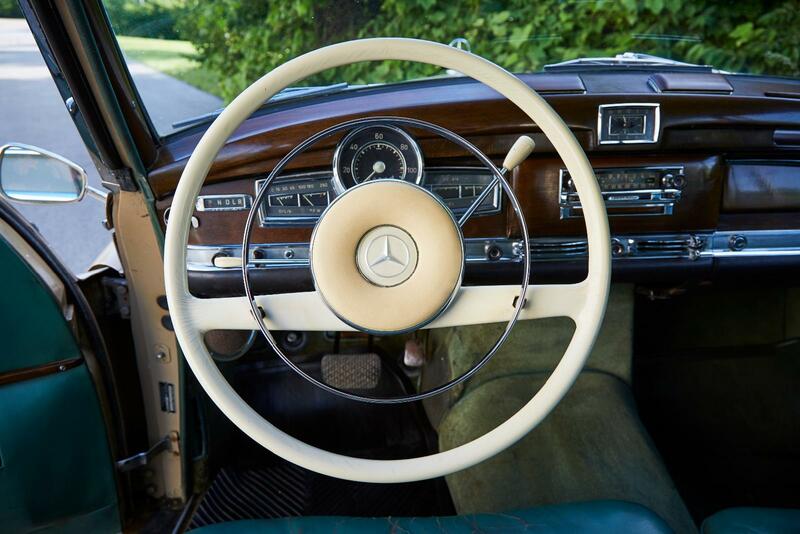 It would be the star in the preservation class at any Mercedes show. The 300d was the best out of the 300 series W186/189. To this day, this car shows class and utmost style. I would preserve the condition and only add a vintage air A/C. Great car.